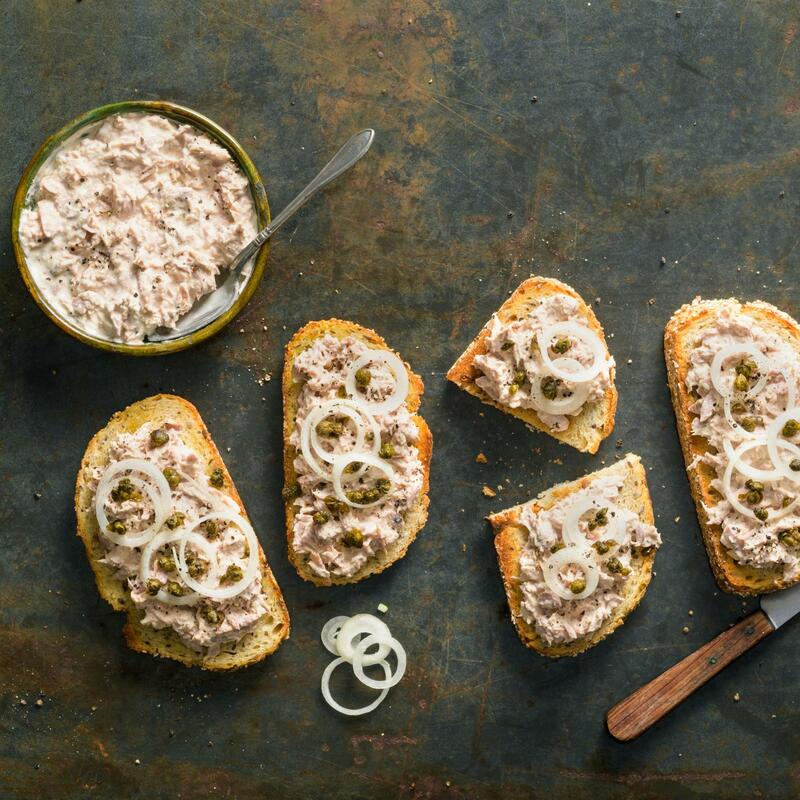 Combine the tuna, cream cheese and mayonnaise, season. Heat the oil in a frying pan, fry the capers for approx. 3 mins., drain on kitchen towel. Fry the bread on both sides in the same pan. Top with the tuna mousse, onions and capers. Refine the tuna mousse with a little lemon juice.